2016 Yamaha YZ250, 2016 Yamaha YZ250 Long Live The YZ250 - The King of MX 2-Strokes Nothing beats a YZ250 for pure lightweight 2-stroke performance combined with Yamaha reliability and durability. Features May Include: Modern Styling Modern, aggressive styling, including front fender, front number plate, radiator shrouds, side number plates, air box, rear fender, fork guards, as well as the rear brake disc protector, rear brake caliper protector and wider foot pegs just like the 4 strokes. 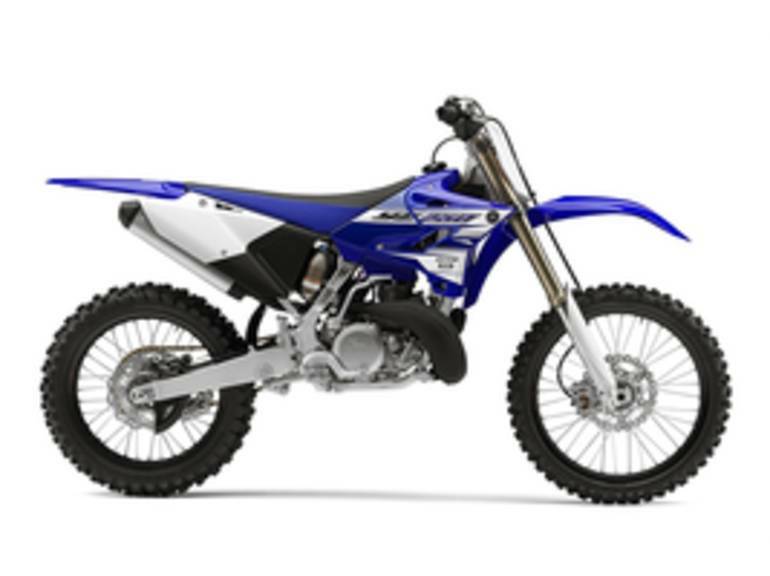 Lightweight Frame Modern, aggressive styling, including front fender, front number plate, radiator shrouds, side number plates, air box, rear fender, fork guards, as well as the rear brake disc protector, rear brake caliper protector and wider foot pegs just like the 4 strokes. Lightweight Frame A light aluminum frame housing a patented YPVS -equipped ripper of an engine results in an awesome power-to-weight ratio. Rider-Friendly Chassis Ultra lightweight means nimble handling with less fatigue.